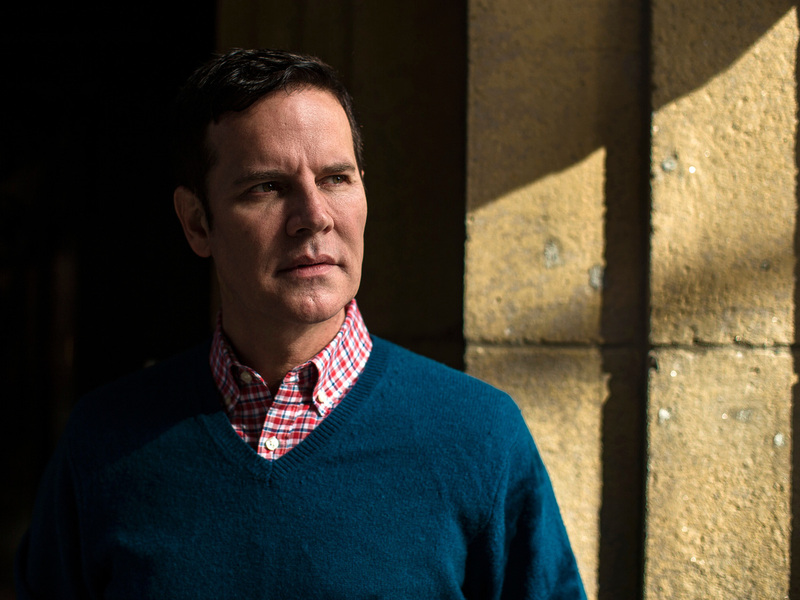 'Pope Cannot Claim He Was Misinformed': Chilean Abuse Survivor After Vatican Meeting : Parallels Francis invited survivors of clergy abuse to the Vatican so he could apologize and listen. Juan Carlos Cruz says he told the pope, "I don't want this to be a public relations exercise." Juan Carlos Cruz, a survivor of sexual abuse by a Chilean predator priest, met with Pope Francis recently at the Vatican. Last month, three men who had been molested by a Chilean priest in their youth were invited to the Vatican by Francis so he could speak with them personally and ask their forgiveness. One of the Chilean abuse survivors, Juan Carlos Cruz, now a communications professional in Philadelphia, describes how moving the experience was for him. "He said, 'Juan Carlos, the first thing I want to do is apologize for what happened to you and apologize in the name of the pope, and in the name of the universal church,' " Cruz says in an interview on Morning Edition. "Of course it was very emotional. ... I was a bit choked up and he just let me be silent or cry even ... he would just sit there with me and listen to me," he adds. They proceeded to have several hours of "very frank conversation — no topics barred." "The pope in January called me a liar"
Francis asked the Holy See to refrain from revealing contents of the conversations, according to The Associated Press. But in a letter to Chilean bishops in April, the pontiff said he made "serious errors of judgment and perception" in the country's sexual abuse cases based on "a lack of truthful and balanced information." The listening sessions are the latest move by the Argentine-born pope to handle a crisis that has cast a long shadow over the Roman Catholic Church. After being named pope in 2013, Francis pledged "zero tolerance" of sexual abuse and cover-ups, and he created a commission to protect minors. But the pope has come under sharp criticism for defending accused clerics and doing too little to hold clergy accountable for abuse. Cruz's abuser, Chilean priest Fernando Karadima, was found guilty of sexually abusing youths by a Vatican tribunal and was removed from his position in 2011. Cruz and other survivors and allies allege that top clerics including Chilean Bishop Juan Barros knew about years of abuse and did nothing. Karadima and Barros have denied wrongdoing. The pope caused an uproar in 2015 when he appointed Barros bishop in Osorno, Chile. This year, Francis further upset survivors when he dismissed the allegations against Barros as "slander." "The pope in January called me a liar," Cruz says. "I said, 'You cannot imagine, Holy Father, what this does to someone who is trying to tell the truth.' "
He says he told the pope, "I don't ever want for you to fall into what other bishops have been falling, which is, blame the survivors, destroy the honor of many victims. And he agreed of course." Cruz, who has written about his case in the book "El Fin de la Inocencia" ("The End of Innocence"), hopes his extended audience will help prod the pope to enact reforms in the church. "He was listening and he sat right across from me and nobody was there. We talked one day three hours, another day two hours, another day an hour. ... The pope cannot claim that he was misinformed like he did last time," Cruz says. I spoke for more than two and a half hours alone with Pope Francis. He listened to me with great respect, affection and closeness, like a father. We talked about many subjects. Today I have more hope in the future of our church... Even though the task is enormous. "We talked about the culture of abuse and especially the culture of cover-up by bishops. And I told him about some toxic people that he has around him — currently," he adds. Cruz says one example is Chilean Cardinal Francisco Javier Errázuriz, whom Francis elevated to a position in a council of senior advisers to the pope. The cardinal, a former archbishop, has previously expressed doubt about abuse survivors' claims. Catholic news outlets are now reporting the cardinal has backed out of a special meeting convened for later this month by the pope at the Vatican to discuss the sexual abuse cases. "I told [the pope], this was not only Barros who watched as we were abused," Cruz says. "Cardinal Errázuriz — it's unbelievable that he is actually close to you when he has a whole history of covering up and being a terrible person." "A winning public relations tactic"
Anne Barrett Doyle, co-director of BishopAccountability.org, a website that tracks and compiles abuse allegations against Catholic clergy, said that the listening sessions happened at all "are a testament to the graciousness of the three Chilean survivors, Juan Carlos Cruz, Dr. James Hamilton and José Andrés Murillo." "Although it's good that the pope initiated these meetings, it's important to keep in mind that he took this step only because his first strategy — attacking the survivors' credibility — had failed," she said, in an emailed statement to NPR. "Meeting with survivors has proved to be a winning public relations tactic for popes and bishops. Time will tell whether these meetings were mere damage control or a precursor of desperately needed systemic change in the global Catholic church," she added. Cruz remained cautious before the visit to Vatican City. "When we were talking on the phone through [the pope's] intermediary, I said, 'I don't want this to be a public relations exercise,' " he tells Morning Edition. Cruz walked out of the meetings with Francis more hopeful, he said. On April 29, he tweeted, "Today I have more hope in the future of the church... Even though the task is enormous." Barrett Doyle said survivors like Cruz "have focused on the bigger picture — the plight of the many Chilean victims who have no voice, and the ongoing safety crisis in Chilean parishes and Catholic schools." In his conversation with NPR, Cruz repeated his conviction that he was speaking to Pope Francis not only to convey his individual plight. "The most important thing for me was to bring with me the pain, sorrow, the destruction of so many people's lives that have been abused," he says. "I wanted to convey that I wanted to give the perspective of the survivor of what we go through and what people are going through, especially for those who are invisible." NPR's Rachel Martin in Washington conducted the interview with Juan Carlos Cruz, who spoke from Philadelphia. Melisa Goh edited and Taylor Haney produced the audio in this story. This Web story contains some content that did not air in the broadcast version.